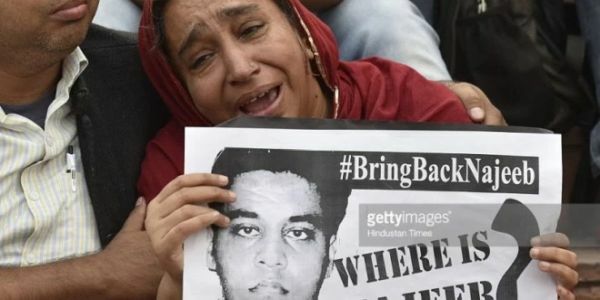 An employee of UAE-based Transguard Group was fired from the company and deported back to India after he allegedly celebrated the massacre of Muslims in New Zealand and wanted a Christchurch-like attack in India. The person had written Facebook comments celebrating the terrorist attack at two mosques in Christchurch, New Zealand, in which 50 people were killed. The person has also been deported from the United Arab Emirates (UAE). The security company, Transguard, in a statement confirmed this. The company said that following an internal investigation it found that one of its employees had made inflammatory comments on his personal Facebook account celebrating the deplorable mosque attack in Christchurch, New Zealand. “This prompted an internal investigation, which uncovered the fact that the individual in question had been posting his views on social media under an assumed name,” the statement said. Once the security company verified the person’s actual identity, he was apprehended, stripped of his security credentials, terminated his services and handed over to relevant authorities. 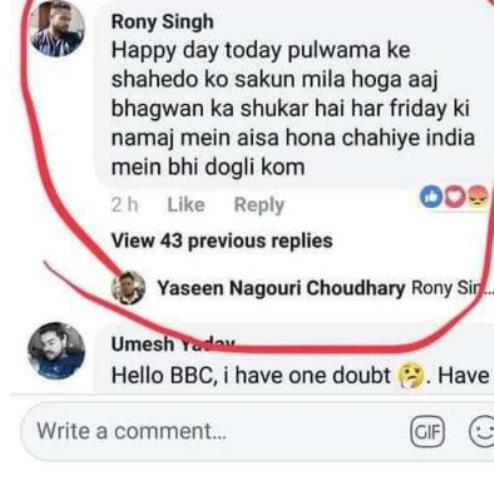 The accused was apparently using a fake Facebook profile with the name Rony Singh to write inflammatory posts on the terrorist attack in New Zealand. Well done UAE, there should be no room for racists and Islam hating terrorists in a progressive nation. DOES DUBAI BAN ISLAM IN WHICH RACIS ASKS TO KILL KAFIRS ? Which verse of Holy Quraan? Provide original Arabic verse and authentic English translation with reference of Chapter and verse number, if you are knowledgeable! If you are an illiterate paid IT cell who just follows orders of your masters, we understand your helplessness! Well done UAE, There many such non-muslims in Gulf earning bread and butter from Muslim Nations and still have hatred for Islam and Muslims. Have fake facebook accounts post such messages. Such black sheeps should be identified and treated same way. Well done UAE, There are many such non-muslims in Gulf earning bread and butter from Muslim Nations and still have hatred for Islam and Muslims. Have fake facebook accounts and post such messages. Such black sheeps should be identified and treated same way.